I recently watched the TV mini-series, Wolf Hall (BBC 2015) which is an adaptation of Hilary Mantel’s novels, Wolf Hall and Bring Up The Bodies. The story follows the career of Thomas Cromwell, who became Henry VIII’s chief minister, and covers the period from his service with Cardinal Wolsey (c1520) up to the time when Henry’s second wife, Ann Boleyn, was executed (1536) – although there are flashbacks to his childhood in Putney, London. I should say straightaway that this is a high quality production and carries the full weight of the BBC tradition in presenting historical drama. The series has received many accolades and found favour with the majority of critics. It is certainly watchable and probably meets the description of ‘important’ in terms of where it sits in the pantheon of successful television dramas. Yes – you know there’s a ‘but’ coming, don’t you? And here it is; I have two caveats and I will confine what follows to a brief discussion of those concerns. I strongly suggest that you watch the series and make your own determinations as to its merits. It does seem to me that both Mantel’s novels and this series have set out to reconstruct Cromwell’s character and therefore the motivation for his actions. In the past, biographers, historians and film makers have portrayed him as an unscrupulous, manipulative opportunist. A grasping parvenu who the king found useful to fix his personal and constitutional problems. John Colicos’ reading of Cromwell in Anne of the Thousand Days (Charles Jarrott 1969) is a good example of this treatment. But now we have a Cromwell, abused by his father when a child, who is driven to make his place in the world. 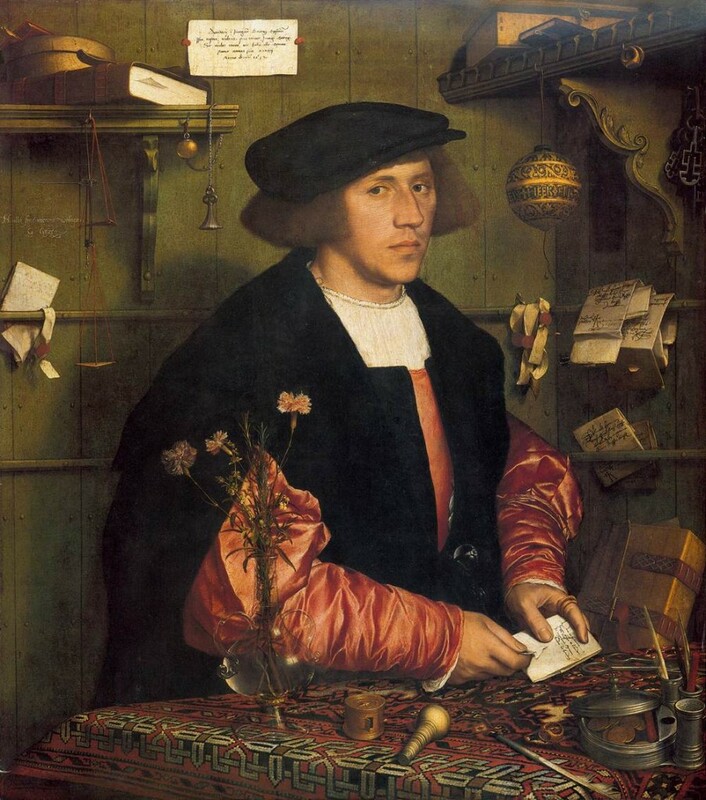 A polymath adept at the law, finance, languages and diplomacy. Taken into service by Cardinal Wolsey – when his master falls from power, Cromwell is patiently determined to avenge him by destroying those who brought about that fall and then volubly abused his memory. The same process of rationalisation is evident in how Cromwell and Thomas More are brought to the screen. More is seen personally torturing a prisoner. He is unbending in his opposition to the installation of Anne Boleyn as queen, despite Cromwell’s reasoned and reasonable suggestions that he comply with the king’s wishes. Of course, both men used violence and coercion to enforce their ideas. It was the ideas that differed, not the methods. And More’s opposition to Henry’s marriage recognised that his approval of that would also signify approval of the king as the head of the Church in England. But this rehabilitation is lubricated by a certain, currently fashionable ‘upmarket anti-Catholicism’ (George Weigel) and the subtleties and complexities of Tudor life are largely ignored in favour of this more sympathetic view of Cromwell. The need for the Reformation, for instance, is glibly explained away in a few sentences by Cromwell in a conversation with Henry. What I believe this revisionist agenda does, is rob the narrative of a more organic flow. I didn’t get the sense of men making history and history making men. Henry was only one generation removed from the Civil War that placed his father on the throne. His overwhelming need was to secure the succession with a male heir. But Damian Lewis plays him more with a sense of libido than a sense of history. Similarly, the Reformation brought about the union of Church and State and the resultant persecution that ultimately spawned the Age of Enlightenment. But nowhere is there evidence of any historical flux or historiological context in the way the story is told. Motives are quotidian. Events are static. Also, I’m not convinced by Mark Rylance as Cromwell. It’s a very mannered, dry reading and I do get that Cromwell was a thinker – probably calm under pressure and not easily rattled. But Rylance shows us his hand at the very beginning. The characterisation does have small differences of pitch and inflection, sure, but most of the time he succeeds in just looking rather like Bill Nighy biting his lip. So it all becomes a bit wearing and, well, boring – probably less so if you’re waiting a week between episodes – but as I suggested in yesterday’s blog, watching 2 or 3 episodes at a sitting does expose the flaws. I do need to give honourable mentions to both Claire Foy as Anne Boleyn and Damian Lewis as Henry. I particularly liked Foy’s Anne – ambitious and wilful but imbuing her queen with a sense of fate. It is a splendidly rich, detailed production with an excellent supporting cast and technically stunning. See it for yourself. But it didn’t really work for me. This entry was posted in TV and tagged Anne Boelyn, Henry VIII, Hilary Mantel, Thomas Cromwell, Wolf Hall. Bookmark the permalink. 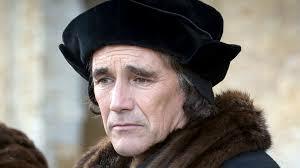 I strongly suggest you read both books: “Wolf Hall” and “Bring Up the Bodies” before casting judgement on Rylance’s performance. His Cromwell is measured, understated and sly, Very much in keeping with his lowly origins and the high intrigue of court life. In short, he is impeccable and riveting and even now, many years later, still a rare treat to watch. As for historical discrepancies and/or bias, I found it refreshing to read about Thomas Moore and the Roman Catholic leaders of the period as somewhat other than plaster saints and martyrs. If nothing else, the Protestants encouraged free thought. Thank you for your comments, Cynthia. I have read both of the novels and many other histories and accounts of this period and its players. I did try watching the series again to assure myself, or not, of my opinions. The second time around, I moved toward thinking that Rylance was not well directed. Maybe the team, under Sam Mendes, that brought us ‘The Hollow Crown’ may have made a better fist of it – bringing some of the theatrical unities to the screen whilst digging deep into the zeitgeist of the time for nuanced interpretation. Thank you for reading my blog. I do appreciate that. Thank you for your reply. I think a continuation of the story is definately needed. Hasn’t Hilary Mantel promised another book, leading up to and including Cromwell’s execution? I will look for ‘The Hollow Crown’. Although I continue to feel that Rylance’s performance, a “still point in a turning world” is all the more noteworthy for it’s utter lack of theatricality. The last scene, in which Cromwell, practically consummed in Henry XVII’s bear hug and the look in his eyes, knowing and not knowing what awaits him, is memorable. Yes, that was a terrific scene – and I, too, look forward the the third novel. I should say that Rylance’s appearance in both ‘Dunkirk’ and Bridge of Spies’ added immeasurably to both movies. He has something of Paul Scofield’s quiet strength about him, I think.